The audio archive contains a collection of Paul’s talks that have been recorded during interviews, conversations with friends and sharing groups. Among the issues he addresses are every day life matters, such as happiness, vocation, education, relationship, parenthood, sexuality, peace, consciousness etc. However, Paul’s main passion is the abstract, the unexplainable, that which lies beyond what we normally call ‘Reality’. He conveys his perspective with empathy, intelligence, humour and most importantly based on his own experience. Depending on our own state, his talks can be experienced as either simply interesting, thought provoking, fun – or for some people they are a powerful life changing experience. The audios are in reverse chronological order, the most recent ones being displayed first. You can browse through the pages directly below, use the search function or the categories provided in the sidebar. All audios are in mp3 format. They can be played directly in your browser, or downloaded to your computer to enjoy later. If we are unconditionally present, each moment is a new opportunity. If you forget to be present, just have a little laugh and start again. 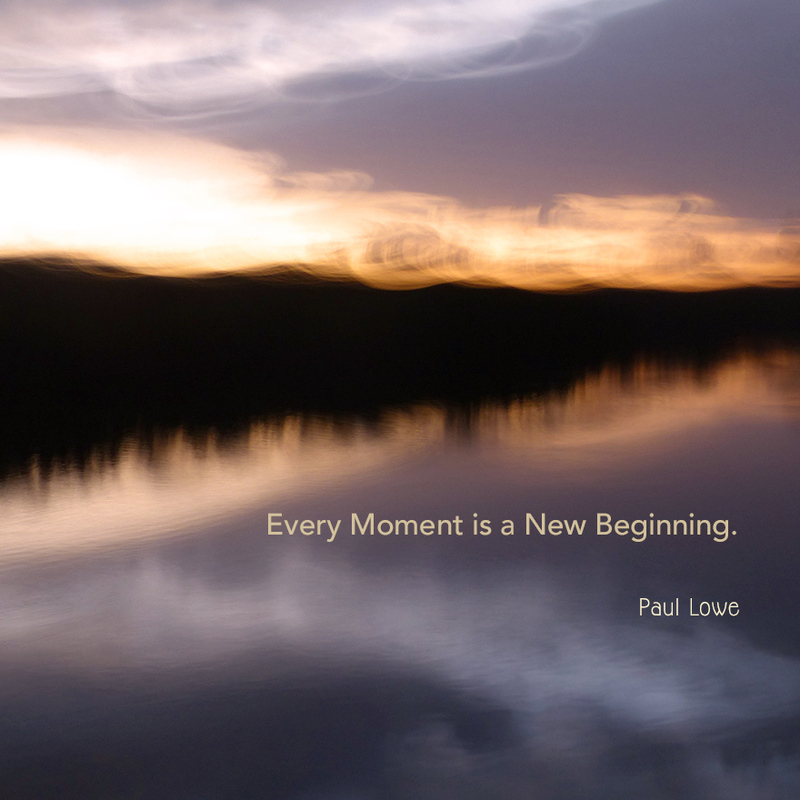 If we are unconditionally present each moment is a new opportunity. 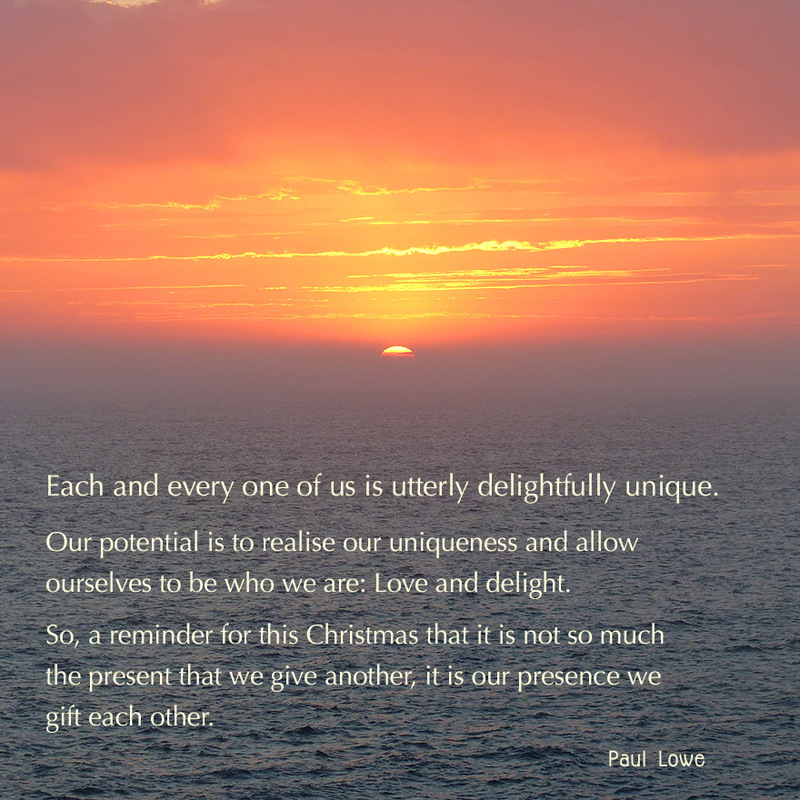 Our potential is to realise our uniqueness and allow ourselves to be who we are: Love and delight. So, a reminder for this Christmas that it is not so much the present that we give another, it is our presence we can gift each other. stillness, aliveness, delight, and love. In this moment there are no problems, just facts. If we resist the facts, we create our suffering. If you love your partner you want them to be happy. You want was is best for them and not necessarily what is best for you. search function or browse through the categories.